Taking the entire family on vacation can add up quickly—flights, rental car, gas, meals, snacks, and, of course, hotels. However, by doing some research and using three little words, you could end up saving a lot of money on accommodations. After researching prices online, experts say the best way to get the lowest hotel rate is to call the hotel directly—not any of the customer service or 1-800 numbers that could be listed as a contact number, especially for a chain hotel. Then you’re going to drop some magic words. While you might be tempted to ask for “the best deal” or “the lowest rate,” your secret weapon here is to use the phrase “cheapest nonrefundable rate.” According to experts at Travel + Leisure, that phrase triggers hotel staff to search for the room that will cost you the least for your vacation. Just don’t wait until the last minute to score a deal, because that can lead to paying more, not less. 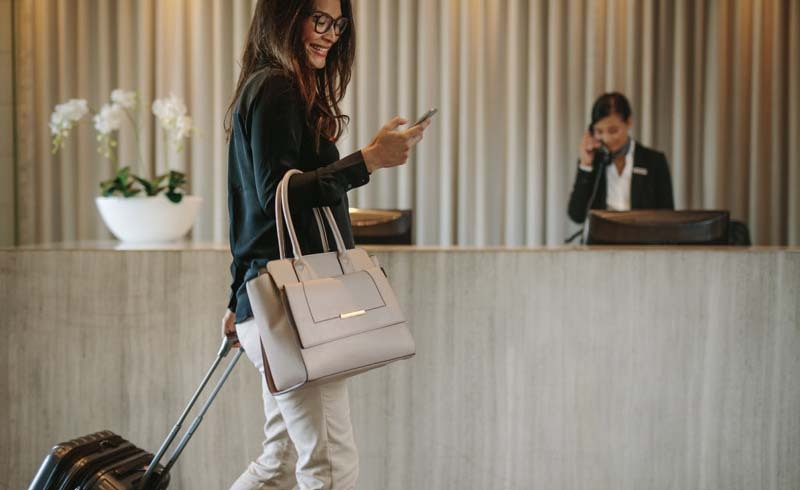 Fred Lalonde, founder of the travel service Hopper, told Travel + Leisure that the best deals on hotels are usually available two to three months ahead of the vacation date, potentially saving you more than $270 for an eight-day stay.